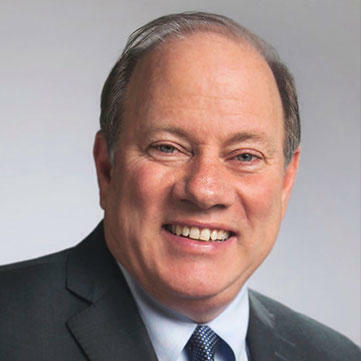 Duggan told Council that Detroit’s debt and pension obligations are set to grow in coming years, and it’s limiting the city’s ability to invest. He says the city needs to budget conservatively if it’s to avoid slipping into deficit, which would revive the state-appointed financial review commission that oversaw Detroit’s post-bankruptcy finances from 2015-2018. “Meeting these fixed costs year after year will require strong revenue growth and efficient operations,” Duggan told Council. To that end, Duggan also wants to roughly double the amount of money the city puts in its rainy day fund to this year to $45 million. Detroit’s budget reflects the city’s bankruptcy court-approved plan of adjustment, which sets out a blueprint for how the city should spend its money to avoid falling back into financial trouble. Duggan’s fiscal year 2020 budget proposal does have money for some limited investments. The Detroit Police Department will get a $10 million increase, partly to pay for more detectives. Transportation will get another $5 million. The city will also devote $50 million to demolitions, as it’s done in recent years. It comes at a time when there’s about to be a major switch in how Duggan’s aggressive demolition program, which has brought down more than 17,000 vacant and blighted buildings during his administration, operates. The quasi-public Detroit Land Bank Authority has done the vast majority of those demolitions, using hundreds of millions of dollars from the federal Hardest Hit Fund. But those funds will run out after this year, and the city is going to take over the demolition program. It’s been running a more limited program dedicated to demolishing abandoned commercial buildings. Right now Duggan says the land bank does about 80-percent of demolitions, and the city does 20-percent. But, “My guess is by the end of ’19 it’s going to be 80-percent city 20-percent land bank, and sometime by mid-2020 it will probably be 100-percent city,” he said. Duggan says “if we keep taking down 4,000 houses a year”—something he plans to do—the city will need to come up with the money on its own by next year. “What we do in [fiscal year] 2021 I’ve got about twelve months to figure out. But we are in good shape for the next twelve months,” Duggan said.